Does your business have a Facebook page? What about a Twitter handle? Google+ profile? If not, you may need to rethink your online marketing strategy. These tools are great ways to reach a wide range of new customers! Business Insider had this year's Social Commerce Summit in New York on February 7. They have several great articles about the up and coming trends in social commerce and what it can do for your business. Ideally, you already understand what your business and your goals are. If you establish those goals in advance before you start any campaign, that'll give you a leg up. Tie them to your existing goals. Every part of your business will have its own definition of return-on-investment (ROI). Your sales team will want to close sales, your marketing team will want to drive ROI. Social media ROI means different things for different departments. Break those goals down to campaigns. You can do that by making your campaigns trackable. Set up a landing page, for example, and drive all that traffic to that landing page. You need to understand ROI is a formula, you aren't going to be able to truly calculate that ROI unless you have all the elements of that data. It's gain minus cost divided by cost. Google+ doesn't have nearly the penetration of Facebook, but Google is starting to index more in search. If you're active on Google+, you're more likely to get indexed in search. In my opinion, the first point is one of the most important parts of online marketing. If you have no goals, your social media plan will be difficult to find and evaluate success. Take the time to develop an online strategy before getting started. Based your plan around your goals. Read the full article for more information. If you don't know about Google+, you really should explore this new social media site. Several people have said Google+ won't last. Well, if I remember correctly, when Facebook came out, several people (including myself) said it wouldn't last either. Who knows, Facebook may be dead in a decade or two. However, in today's world, social media profiles and ads on social media sites can dramatically help the success of your business. 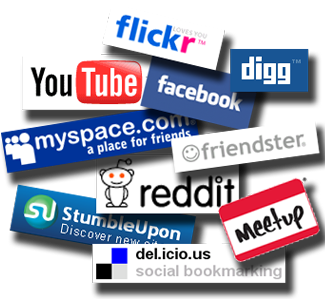 Social media is hot right now and will not be going away anytime in the near future. Interested in setting up an online strategy for your business? TBH Creative is located in Indianapolis, IN and specializes in Search Engine Optimization (SEO), social media, online strategy, and more. We hope to hear from you soon.